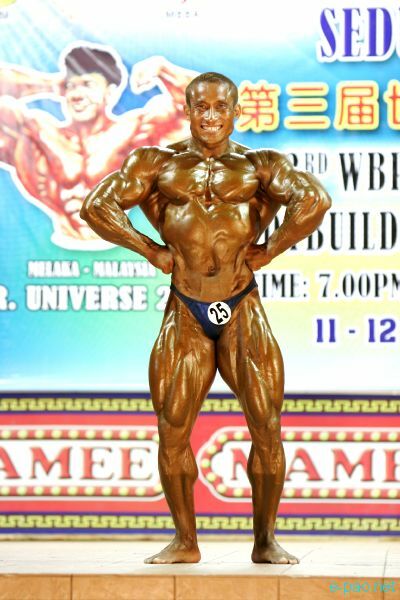 Arambam Boby Singh became the proud winner of Mr. World title in the 2ndWorld Body Building and Physique Sports Federation (WBPF) Men's World Body Building Championship held in the holy city of Varanasi from October 27 to November 1, 2010. He retained the same title in the 3rdWBPF World Body Building Championship held in the city of Malaca from November 8 to November 14, 2011. He won the gold medal in the 75 kg Welter Weight division. When he won the title for the first time in 2010 he also became the second body builder to achieve the feet for India after a gap of 22 years. The last person to achieve the feet for India was Premchand Dogra in 1998. Mr. Arambam, is the 5th of the six siblings of Late Arambam Ibomcha and Arambam ongbi Dashumati Devi of Lilong Chajing Mairenkhong Leikai.Like many other great achievers, Mr. Boby also rose from a humble ground. A person who had lost his father at a young age, he was brought up by his mother. During his formative phase he had to endure many hardships – lack of proper diet, monetary constraint and supporting the family in their daily struggle for existence. Constrained by multiple factors he could pursue his education up to matriculation only. However, the spirit of a sportsman never leaves him during the hard time. The dedication and passion to be a sports man landed him at the Sports Authority of India (SAI) located at Langol as gymnast in 1989-90. Later on he shifted his discipline to athletics and became a sprinter in 100 and 200 meter. The struggle for survival and the desire to excel in the chosen field was reduced to large extent when he joinsSashastra Seema Bal (SSB) as a constable under their sports promotion programme in 1993. During his stay in SSB, Mr. Arambam happens to meet some friends over a cup of tea in a coffee house. A maiden from the group suddenly exhort 'Boby you have a good physic and really looks like a real man'. The words inspired Boby to seriously pursue body building as a sport. The day marks the baptism of Singh to body building. The said incident happened in 1995. Though, it cannot be deny that many people had asked him to purse body building before but those words only landed up in debt ears of Boby. In 1995, subsequent to his commitment to the sport, he won the Jr. Mr. Manipur (Overall Title) and Sr. Mr. Manipur (Overall Title) in 1996.In addition, Boby also represent India in the Jr. Asian Body Building Championship held in Delhi in 1996.Theevent changed the graph of Boby's career and life completely. Finding potential to excel in the physic of Boby, Mr. Shambu Chaterjee of Indian Railways express the desire of him to be part of the Indian Railways Body Building Team. Accepting the offer Boby joint Indian Railways in 1997 and became Mr. India in March 1998. Later on Singh won many titles and finally became Mr. World in 2010. The secret to his success lies in his diet. On a daily basis Mr. Boby have 1 kg of boil chicken without skin. In addition, he also has lots of boil stuff. When the diet is supplement by proper training in the gym. He considers that the standard of the gym and long hours in the gym do not translated into a good muscular body. It is the diet that has to be properly maintained and supported by training. He is driven by the philosophy that to be a good body builder you do not require hi tech equipment. Still today he trains in his home with 3 or 4 dumbbells along with a pulley. No doubt that the success of Mr. Boby cannot be that of his alone. Today, he proudly acknowledges the contribution of his family especially that of his mother. Further, he is still in debt to his first coach Khoirom Yaskul Singh that taught him the nuances of body building. Finally, to his current coach from Indian Railways whom he considers is the best in the business in the country. Inspide of his achievement in the international arena, Mr. Body has not forgotten his roots and humility. Looking back at the turmoil ridden state and state of body building, he lamented the fact that there is little or no support for the Government of Manipur in particular and from the sport loving people towards body building at large. 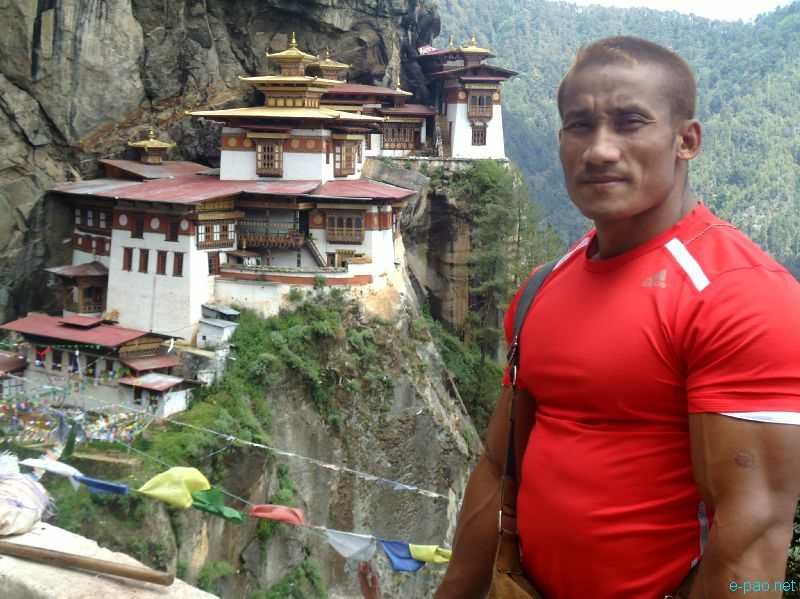 A little support from them could change the state of body building in Manipur and society, he considered. At the same time he is also sadden by the politics within the body building governing body in Manipur. Rather than promoting the sport collectively with those that have excel in the field and with the governing body every one trying for one-upmanship. The bumpy relation in long term may act as a detrimental in the growth of the sport in the state, recorded by Boby. However, Mr. Singh reaffirmed the fact that today in India as compare to other states the standard of body building in Manipur in at very high if not at the top.